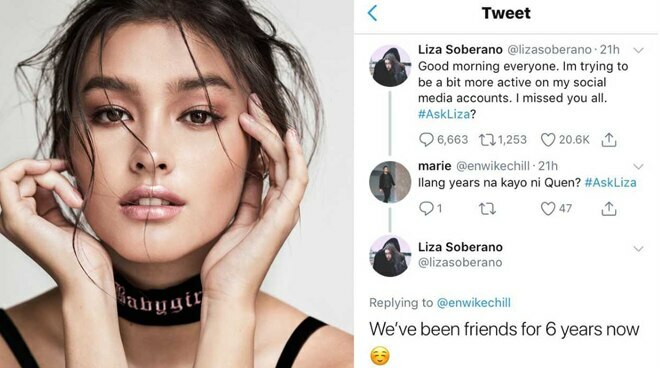 Liza Soberano answers questions about her and Enrique Gil on Twitter. The netizen tried to give a follow up question. 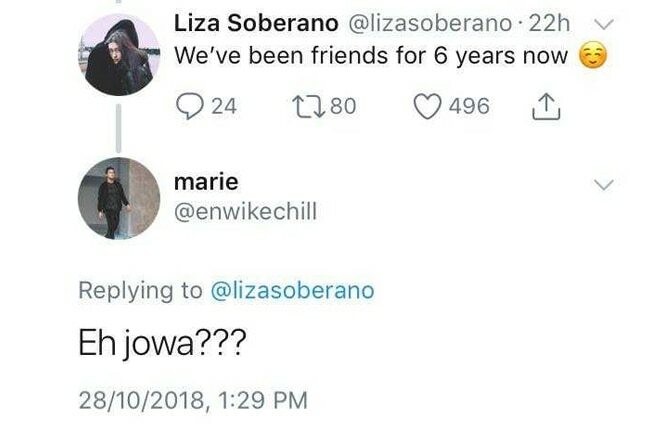 “Eh jowa?” the netizen added, pertaining on how long since Liza have Enrique Gil as her boyfriend, assuming they were official. 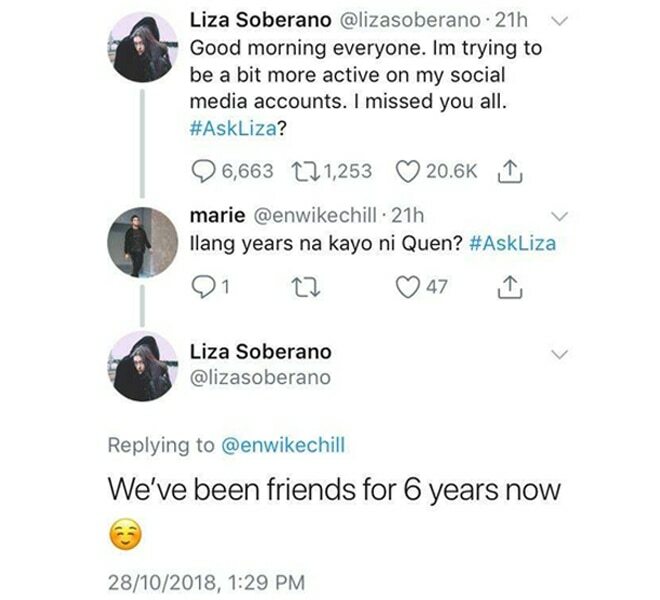 However, Liza skipped the question and answered others. Just last October 25, Liza and Enrique shared photos on instagram as they celebrated the anniversary of Forevermore, their first teleserye on ABS-CBN. The Kapamilya actress then chose Janine Gutierrez. “I'm really open to working with anyone. One person im obssessed with is Janine Gutierrez.” she replied. Aside from the much-awaited Darna remake, Liza Soberano is teaming up with her Enrique i a movie with director, Antoinette Jadaone, under Black Sheep Productions.